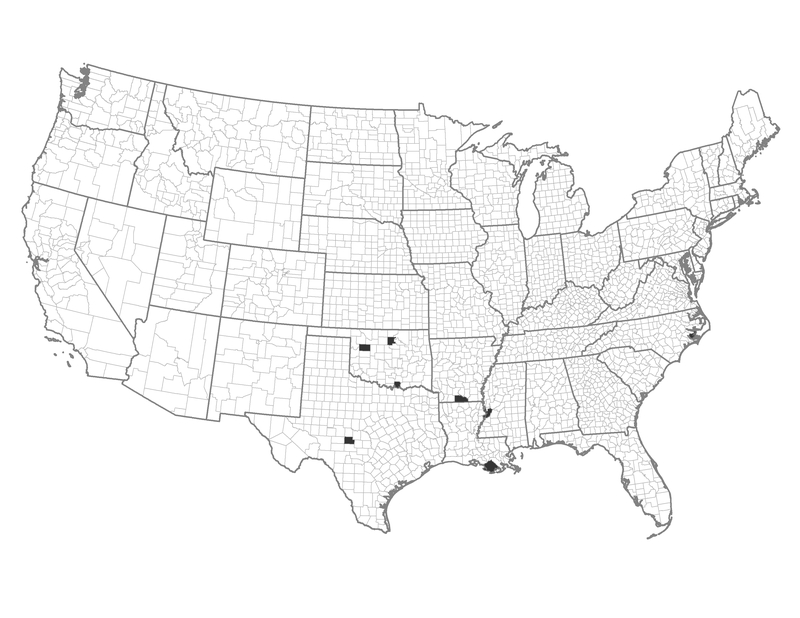 These south-central counties have a dense, but scattered human population and high area burned. Evidence suggests that there is a history of prescribed fire use here in forests or rangelands, often, but not necessarily confined to, public lands. Example of a Typical County — Marshall County, Oklahoma: This rural county includes Lake Texoma that is managed by the Army Corps of Engineers. These counties have a history of using prescribed fire and could expand or maintain use of this fuel management option. There may be an active forest products industry nearby, which could support fuel treatments. There are non-fire treatment opportunities in these counties, which may be limited by economic markets.